Roll up grass cutting signs are great for landscapers, grounds maintenance companies and even farmers. They take up very little space when being stored and can be quickly deployed when required. These signs are high quality and road legal when deployed correctly. They are used to warn motorists of potential hazards on the road caused by cutting machinery and any possible debris. They are especially useful on narrow country roads where most hedge cutting takes place. Please note: The supplementary plates are purchased separately to the main product. They can be added individually to your order through the options above. Need further information on this product? Give us a call we will be happy to help, we carry many types of road signs in all materials, shapes and sizes. If you cannot see what you are looking for call us and we will happily help you find the right product for your needs. Our sales team are available on 01905 794 875 during office hours. 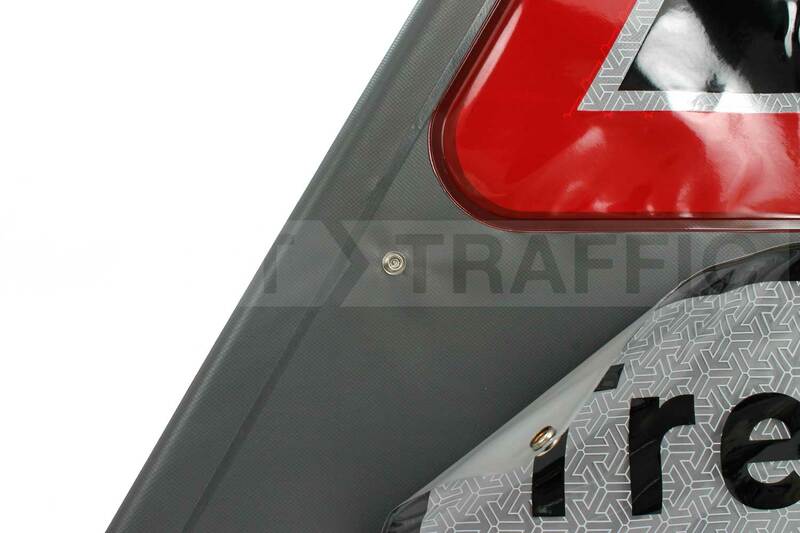 Type Signs: PVC face, Galvanised steel frame, PVC foot. Bag: PU Nylon. Colour Sign faces: Medium grey backing. Frame: Silver. Accessories Lamp brackets, container bag, corporate ID tag. Please see datasheets. Customisation Custom sign faces, other sizes available (500mm, 600mm, 900mm). Please call.